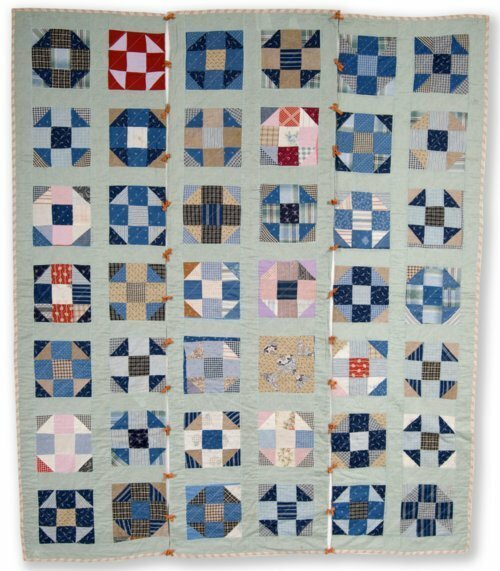 Quilt pieced in Shoo Fly or Double Monkey Wrench pattern, divided into three panels joined by fabric ties. The pieced blocks have been cut down from another quilt. The quilt is from the home of Lena Hamilton Casebier, a resident of north Topeka.